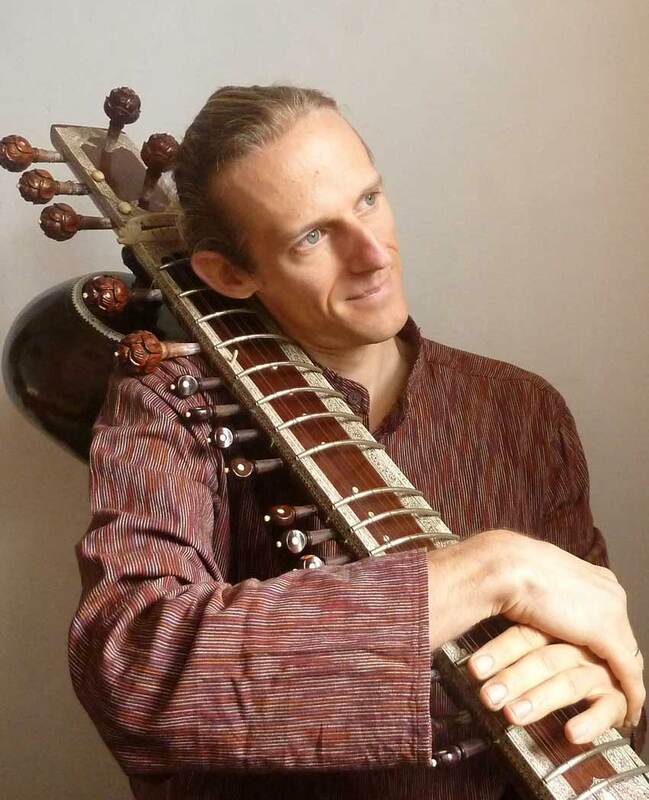 Multi-instrumentalist, Glenn Louvet is a sitarist and a percussionist. Glenn Louvet’s love for Indian music brought him to New Delhi, where he teaches both music and Yoga for more than a decade. Multi-instrumentalist, Glenn Louvet is a sitarist and a percussionist. He also plays with harmonic instruments such as jew’s harp. The ability to play such diverse instruments combined with rich aesthetics & sensitivity makes him a specialist in soundscapes. His extensive Yoga practice brings about a unique energy to his music which touches the soul and takes the audience on a inner journey. Glenn Louvet has performed in France and all over India in solo, duo or ensemble. Since 2004, he also works with Suchet Malhotra in duo and as a member of the percussion ensemble ‘Temple of Drum’.